One of the most exciting new initiatives at the Davis College of Business is its international student-faculty exchange program, now in its second year. 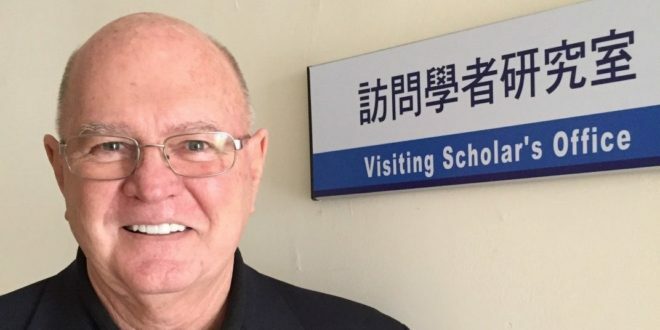 In this article Dr. George Gresham, Associate Professor of Marketing, reflects on his semester in Taiwan. This spring, I was privileged to be the first professor from DCOB to teach a full semester at one of our partner business schools overseas. My host school was the College of Business at National Taipei University (NTPU) in Taiwan. It is an AACSB-accredited institution, making it one of the premier business schools in Asia. From mid-February to the end of June (their semester), I taught two courses – “Market Research” for undergraduates and “Special Problems in Marketing” for graduate students. It was the first time an 18-week class was offered in English to NTPU students, the majority of whom speak English as a second (or even third) language. It was NTPU students’ first experience with a “project-based” course where they worked together in small groups. It was the faculty’s and students’ introduction to the “hybrid” learning approach, meaning the course content was delivered in the classroom and online using tools such as Skype and Zoom.us. The students’ response to the courses was overwhelmingly positive, and it was exciting for me to see how well project-based learning and the hybrid approach was received. The students enjoyed working in teams and expressing their imaginations and creativity developing new product ideas and identifying hypothetical target markets. They also appreciated learning how to use web-based technologies to present research findings, engage in team meetings, and submit proposals for review—valuable skills in today’s workplace. For me, the experience of living and teaching in Taiwan was immensely rewarding. 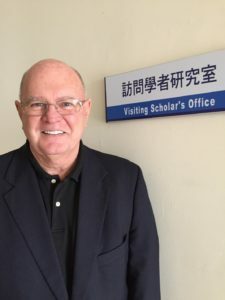 Despite significant language hurdles (including not being able to use the school’s intranet because the pages appear in lovely Chinese characters), I was able to form strong connections with my colleagues and 56 students. There is no question that student-faculty exchange programs provide an unparalleled opportunity for professional and personal growth.